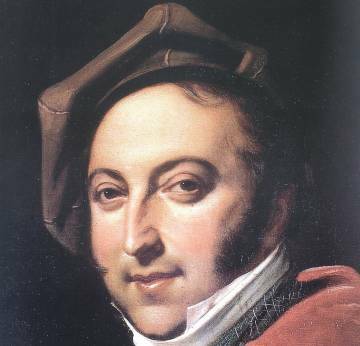 Gioachino Rossini was the first of a succession of operatic composers who were to bring Italy to the forefront in world opera. He was born in Pesaro in 1792. The house where he was born, close to the city's main square, now houses a museum dedicated to his life and work. He began his composing career at the age of 18 and for the next nineteen years composed 36 operas which brought him a success and wealth unparalleled among composers of the time. Among his operas are such legendary names as The Barber of Seville, The Thieving Magpie, the Silken Ladder and William Tell. Tell was Rossini's last opera but he was to live for another 39 years, composing not much more than two religious works. He moved to France in the early 1820s and remained there until his death in 1868. He is buried in Florence at the church of Santa Croce. Pesaro remains an important pilgrimage centre for Rossini fans and is the setting, each August, for the prestigious Rossini Opera Festival which is dedicated to performing his operas.